Once a content marketing campaign is underway, the return-on-investment (ROI) is the main way to measure its success. While any publicity is good publicity, you will want a strategy capable of providing a high ROI. This is not solely for budgetary concerns either. ROI represents not only the cost-effectiveness of a campaign, but the strength with which it can drive customers to your business and boost your reputation both online and by word of mouth. As always, most methods of improving ROI revolve around the content on your site. While quality is always paramount, it isn’t the sole determinant of success. Numero Uno Web Solutions has seven tips in mind for how to bolster the ROI of an existing content marketing strategy. If your content marketing campaign is showing a low ROI, or even if it’s a success and you want to see if you can improve things further, try to keep the following in mind. Your content is what builds your credibility, attracts the audience, and establishes your authority and reliability on a topic or service. To that end, you need to recognize what your audience wants. If you are writing pages for an urgent care centre for instance, chances are people are going to be looking for ways to treat a burn or sprain or some other acute but not emergency condition. In this case, content about quick home remedies is going to get a better ROI than a longer page about how to choose the right type of bandage or how to take care of stitches. It can seem like a bandwagon at times, but social media really does work for improving your profile and your marketing ROI. Social media can also offer some insight into your audience’s interests. Facebook, Twitter, and Google+ are all viable options for increasing your presence and reaching broader audiences. By looking at what’s trending and what the most popular topics are, you can further refine your content to match. Consider ways to integrate social media into your content. This can be as simple as putting buttons or links at the bottom of the page or as elaborate as joining in on whatever hashtag fad is occupying Twitter. Just be careful not to overextend yourself. Social media can backfire easily if handled poorly. Building search engine optimization into your content marketing is a sure-fire way to improve your ROI. In addition to finding the best keywords to draw attention to your content, you can also build SEO by working with outside partners. If you have a relationship with other companies who have high Google rankings or with people who are popular on Twitter or Facebook, consider asking them to cross-link to your page. Naturally this will have to be a reciprocal relationship of some sort, but the benefit will come as the links help stimulate your search ranking. Press releases or relationships with journalists can also help spread awareness and keep your page on the upper rankings. You should be spending as much effort to promote your content marketing as you did to create it in the first place, if not more so. Improving your ROI in this manner means taking advantage of inbound marketing methods like social media, SEO, or spreading the word through press releases and newsletters. Take advantage of any mailing lists your company uses, or develop one if it doesn’t, and include links to your latest content at the bottom of updates. Mixing in promotions like discounts or special coupons can help further promote content and keep people interested in seeing what you send out next. It doesn’t matter how good your content or how sophisticated your marketing campaign is; you will not have a good ROI if your web site is cluttered, unintuitive, or otherwise a chore to read. This can mean better layouts, adjusting the font or colour schemes, or rearranging buttons so things are easier on the eyes. In addition, you should make sure your web site is compatible not only with the main web browsers, but also with different platforms. People today use computers, tablets, and their phones to access web sites and these devices have different needs in terms of format and content layout. Furthermore, Google prioritizes mobile-friendly sites for search results accessed on smartphones, so you have an SEO motivation to be mobile-friendly. Original content is usually the best way to enhance your content marketing’s ROI, but it isn’t always feasible to keep up a steady stream of quality, original material. Content curation, if done right, is a good complement to original work. What this involves is collecting (“curating”) content from other sites and adding your own opinions, commentary, responses, and insight to it. If you have ever seen academics publish rebuttal papers, it is similar to that except more relatable. As always, it’s important to clearly cite and link back to the source article. In addition to helping supplement original content, curation can form mutually beneficial relationships between your site and others to allow for better cross-promotion. One of the most ideal results from any content marketing strategy is to get people interested in regularly returning to your web site. One way you can encourage this behaviour is to regularly produce new content. Any audience is always looking for new content to consume, and by meeting this need you are setting yourself up as a reputable source. Obviously, the quality of this stream of content is important, so make sure to pick a pace that lets you both regularly post and maintain certain standards. Depending on your subject, this could be anywhere from posting bi-weekly, once a week, on a Monday/Wednesday/Friday schedule, to even daily. The important part is to find the right balance you can maintain. 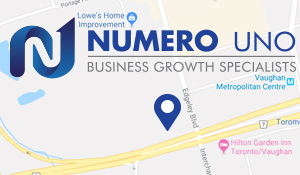 Numero Uno Web Solutions is a leading provider of search engine optimization (SEO) and content marketing solutions for businesses of all sizes and across all industries. Click here to learn more about how we can help improve your content marketing ROI.